Oatmeal is the best. That being said, I eat it pretty much every day for breakfast. 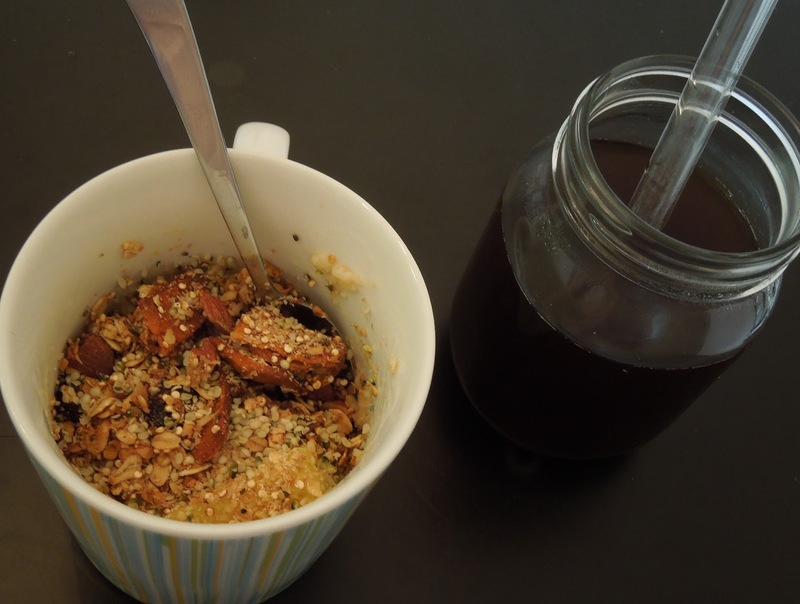 To try to avoid complete monotony, I like to change up what I add to the oats. I use different fruits, spices, nuts, nut butters, seeds and sometimes even sprinkle something a little “richer” into the mix (cocoa powder, shredded coconut, 1 baby square of super dark chocolate, etc.). I do not get fresh pineapples often, so I thought it would be a nice addition this week to my “oaty-oats” (as my sister so fondly refers to them). 1. 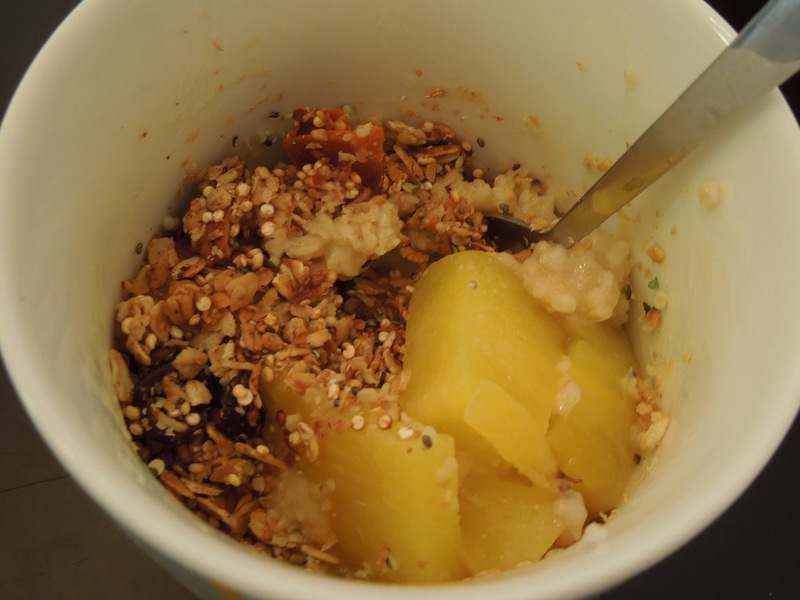 Combine the oats, pineapple, soy milk and water in a bowl or a mug and microwave for 2 minutes. 2. Once you have removed the oatmeal from the microwave, sprinkle the granola, banana, coconut, macadamia nuts, wheat germ and hemp seed on top. Grab a spoon and dig in!